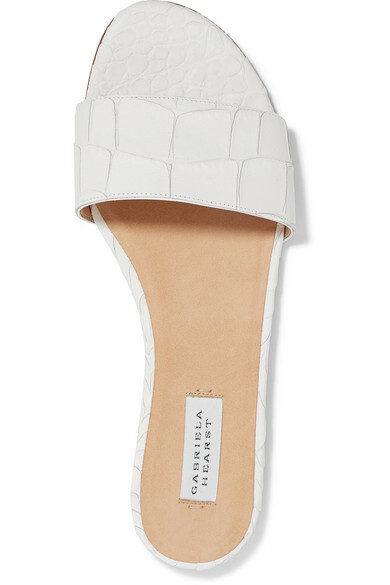 EXCLUSIVE AT NET-A-PORTER. Activist and muse Cecile Richards says that when she wears something by Gabriela Hearst, she immediately feels "about 200% better" and like she can do anything. 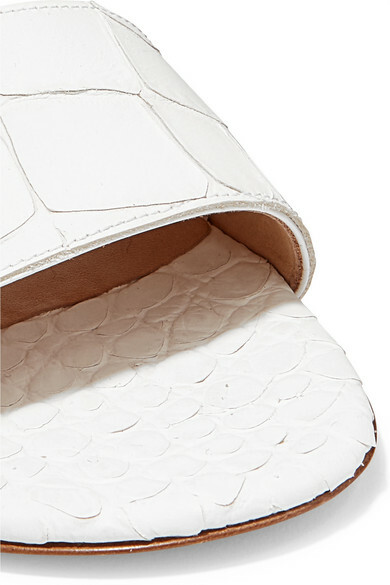 Made in Italy, this version of these 'Franzine' slides are constructed from white croc-effect leather with a smooth backing. Wear yours on vacation with tonal separates. 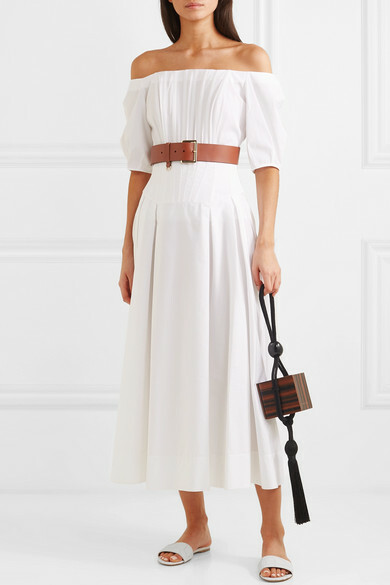 Shown here with: Gabriela Hearst Top, Gabriela Hearst Skirt, Carolina Santo Domingo Clutch, FRAME Belt.